At PointGuard, our company values are at the core of everything we do. We keep them every day - with our team, our families, our customers and ourselves. We keep it fun and play to win; keep on giving and learning; keep our promises and our mission; and of course, we keep it real. We seek to solve real problems for our customers; not reciting popular buzzwords but providing real, tangible results. Our goal is to provide real, strategic and actionable recommendations, so property managers can manage their buildings and portfolios with maximum efficiency. To do that we do not waste time, and we work through the “noise” to bring results to our customers. By having real conversations with our customers, we can understand their perspective and their needs, which allows our team to use analytics to solve meaningful problems found in building operations. What’s more, we are honest and real with our customers about what our company can achieve, and what it cannot. We want to sell our service, but only if we are keeping it real about our customers problems and expectations. The key to keeping it real is being honest and clear with yourself and your team. At PointGuard, we strive to be realistic about our strengths and weaknesses. To do this, we must understand our roles within the team and how we can best contribute to keep our company moving forward. 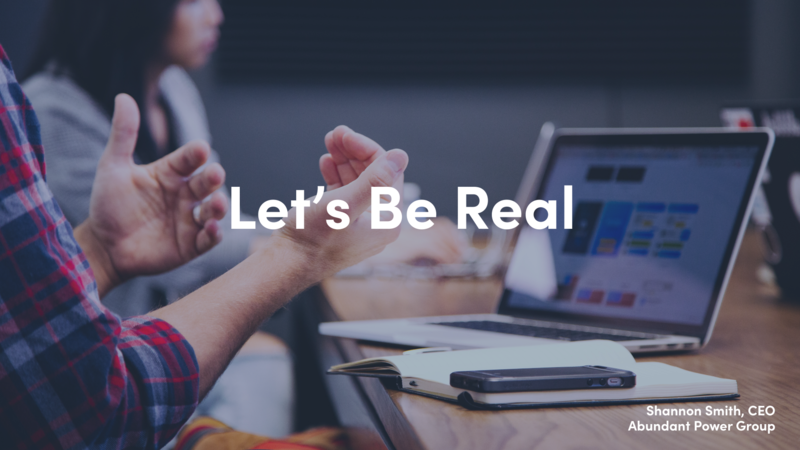 Being real also requires having crucial conversations as a team, inviting healthy conflict and eliminating office politics. Our team members use these methods to decide our daily, quarterly, and yearly goals; and we hold ourselves and our team accountable for those goals. The only way to achieve our goals and keep our mission is to be honest about what we as individuals do best and what we need to improve upon, and communicate that to our team. It also means that we must allow ourselves to fail, constantly re-examine ourselves and be real about our limits. Most importantly, being real means always be yourself. We all have distinct backgrounds, personalities and skills. To make the most of each day, we must keep it real.